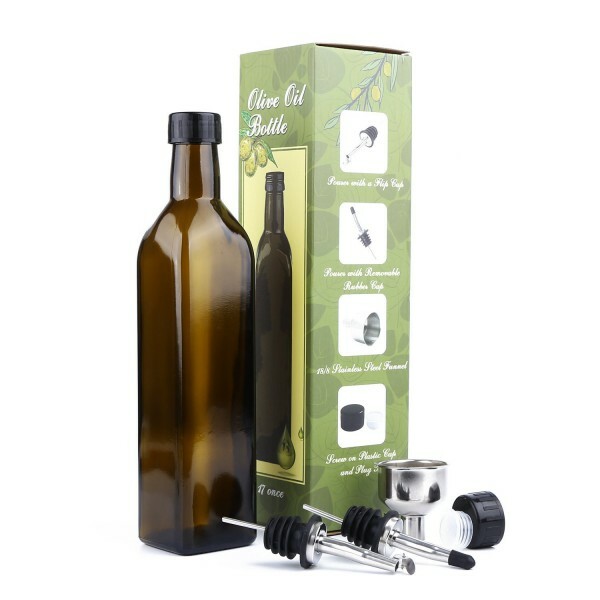 Elegant dark brown olive oil bottle with two kinds of pouring spouts makes oil dispensing a breeze. 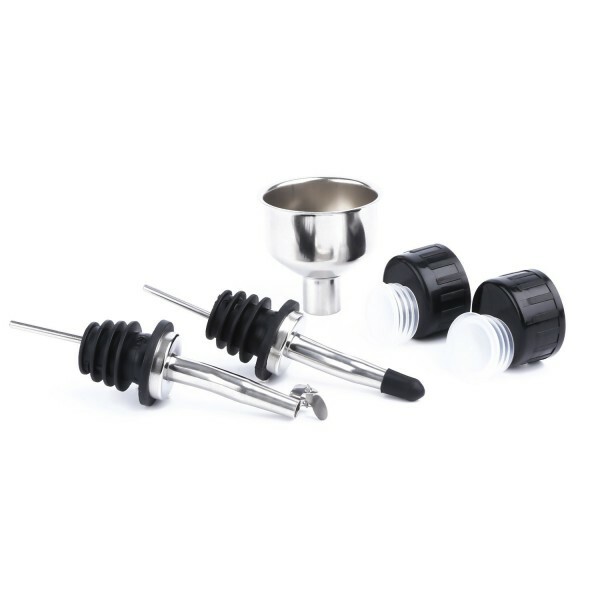 18/8 stainless aided funnel helps fill and refill the liquid easily without leakages. 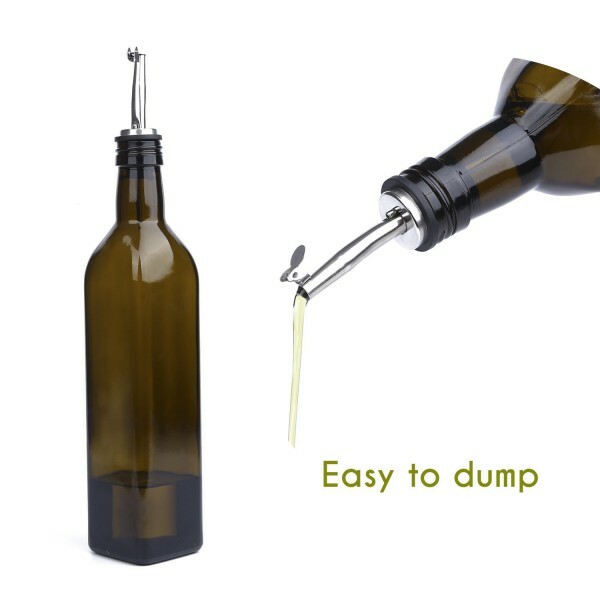 Attached pour spouts with sealed cap and flap cap perfectly keep Bugs / Dust Out. Non-drip Design prevents spilling and dripping. Help you get rid of slimy hands. 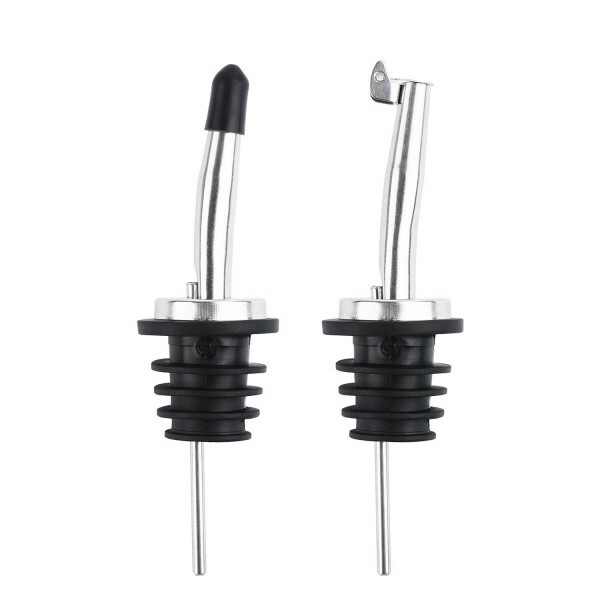 There are also 2 set of black screw caps & white inner corks, Makes it convenient to store oil and vinegar. 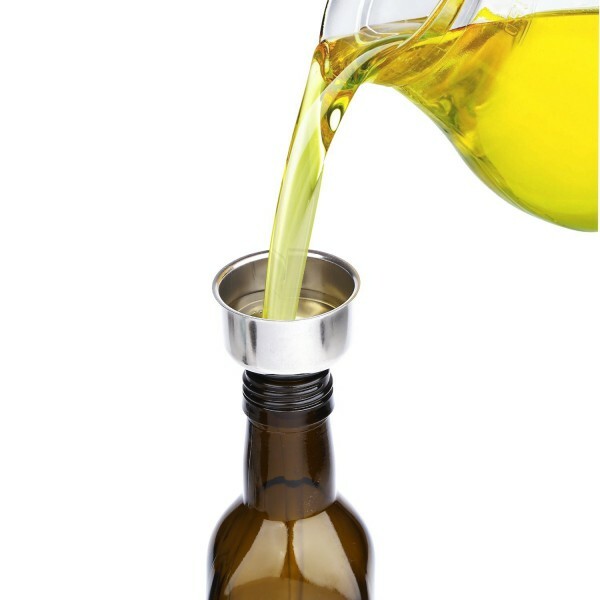 The antioxidation dark brown color effeciently protects olive oil from sunlight and largely prolongs the preservation time. 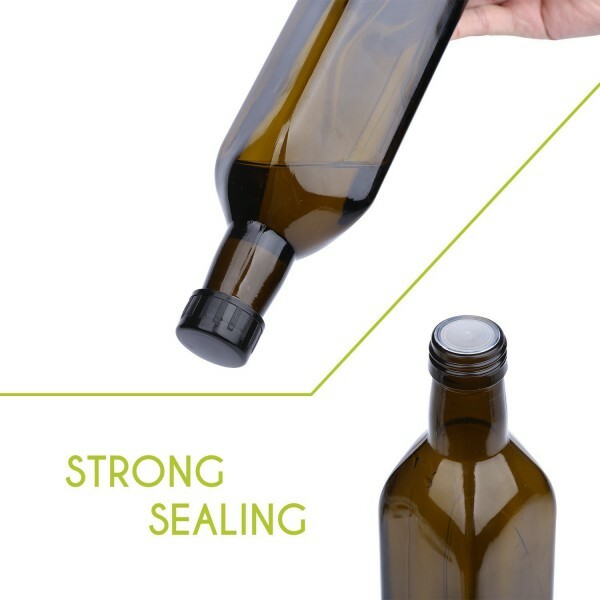 Ideal for Dispensing Cooking Oils, Dressings and Vinegars. 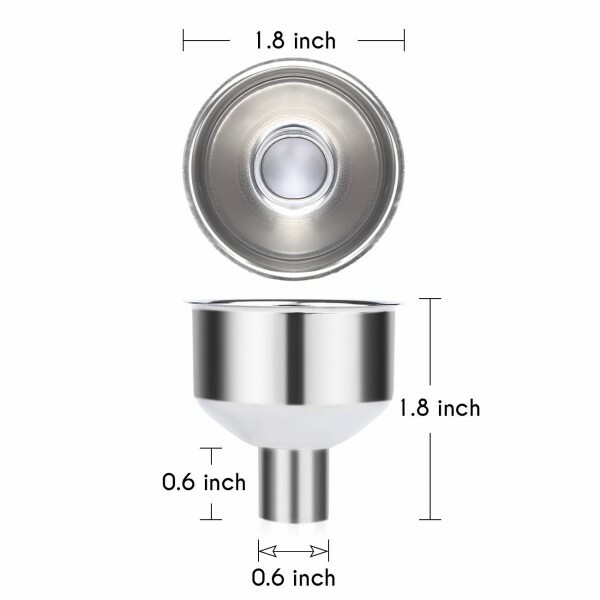 Dishwasher safe - lead free - 18/8 stainless steel.